1 Bed 1 Bath 925 Sq. ft. THE ADAMS... enough said!! We have just listed a spacious 1 bdrm unit at this highly sought after complex. 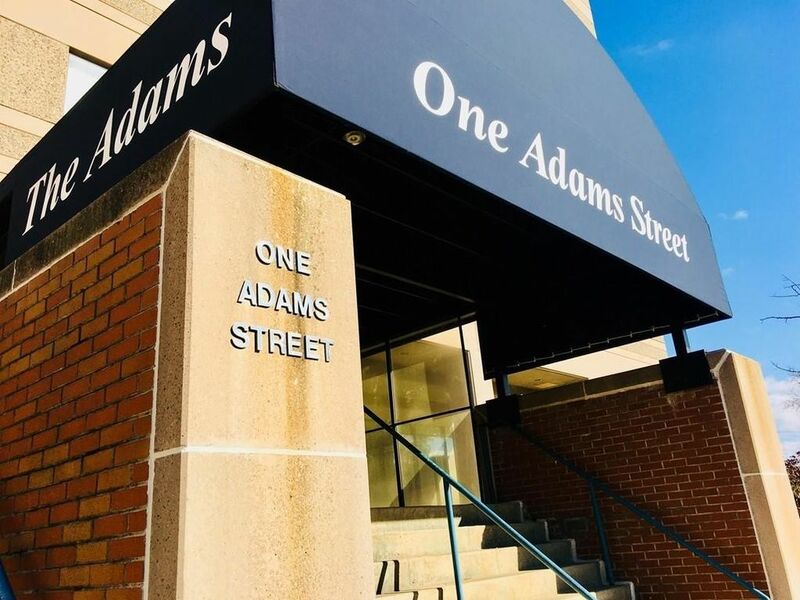 The Adams is prime Quincy real estate with its perfect central location. Within walking distance of the Quincy Center T station, restaurants, shopping; basically all you need!! In addition to the spacious layout of your condo you have the luxuries of a beautiful & secured lobby, fitness room, sauna/steam room, function room, & more! In the unit you enjoy a bright open livingrm with a wall of windows giving you amazing views of the city. The views continue right onto the large balcony off the livingrm, perfect on a nice day for your morning coffee or that evening glass of wine! The kitchen is very functional with electric range, microwave, dishwasher & refrigerator all included. The large bdrm with many windows is filled with natural light. Lots & lots of closet space here! There is a tiled full bath & laundry room with wash/dry combo that is also included. 1 beds 1 Bath 925 Sq. ft.